Home › Why HTC › What Makes People Click? What we’ve known for years is now official: a well-designed website fuels sales and drives business beyond the Web. According to the Nielsen Norman Group, in 2007, redesigning websites for usability averaged a Return on Investment (ROI) of 83%, yielding tangible results both online AND offline. Don’t Slip Through the Net! The bad news is that many Web designers still create unusable sites that harm the very company they’re supposed to promote. B2B sites, in particular, are far behind in creating usable, functional websites that reflect the image of their corporations. Without a team with a solid grounding in user-centered design and a complete understanding of programming, it’s easy for sites to go astray. HTC balances creative flair with technical proficiency to make sure our sites look and work the way they should to reflect the message and image your organization wants to convey. The message is clear: companies can no longer afford to squander their online real estate with sites that are difficult to use, look and feel dated, or just sit there. 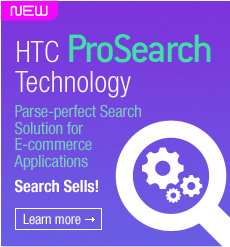 HTC has the design experience and the programming expertise to make sure your site meets the highest regard of public scrutiny, even years after its launch. Your website is not just an online brochure; it is an experience with your company that your audience will remember far away from their computers. HTC is the right team to deliver both an attractive AND usable site, making it easy to find, easy to navigate and easy to administer. Want to know more about HTC and our projects? View Our Work or complete our Information Request Form.